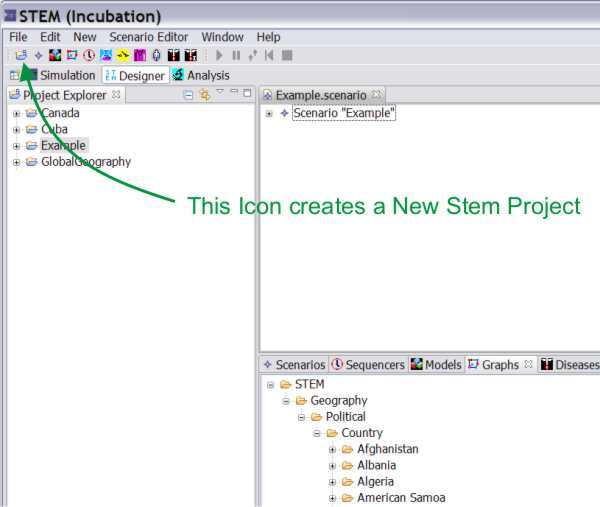 1) Click on the Icon with many little squares and create new STEM project (ExperimentalDisease). See Figure 1. 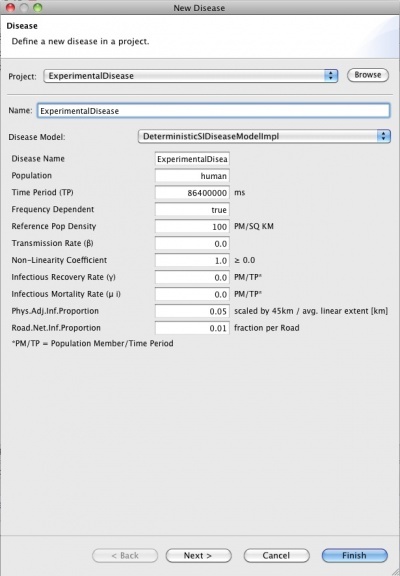 8) Select the DiseaseModel in the ComboBox: e.g., select "ExperimentalDiseaseModelImpl" At this point you can also edit or set any of the disease parameters (i.e. Transmission Rate, Recovery Rate, etc). 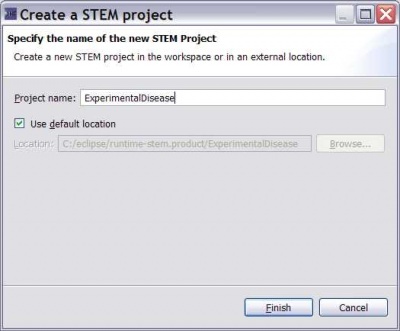 If you don't want to do it now it will also be editable any time after the scenario is created. 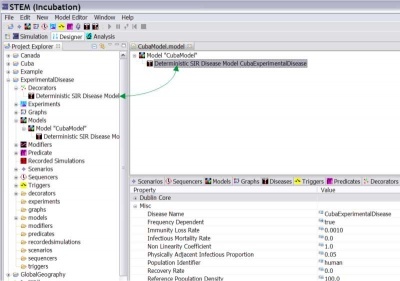 NOTE: The location code for the infector is automatically picked up. NOTE: In the case of infecting an entire country at admin 0 level resolution there is a bug. 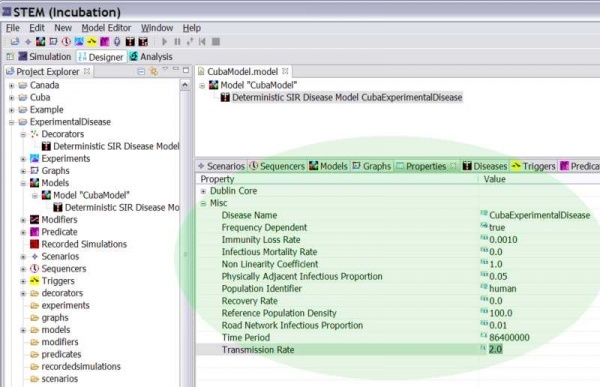 We chose Cuba in this example because there is no admin1 or admin2 data for Cuba. In most cases the following steps are not necessary. If you are infecting at the country level, admin 0, the following is necessary. The location code at admin 0 only should be three letters but a two letter code is used by default (which works for admin 1 and 2). Fix it manually by editing the infector with the property editor.